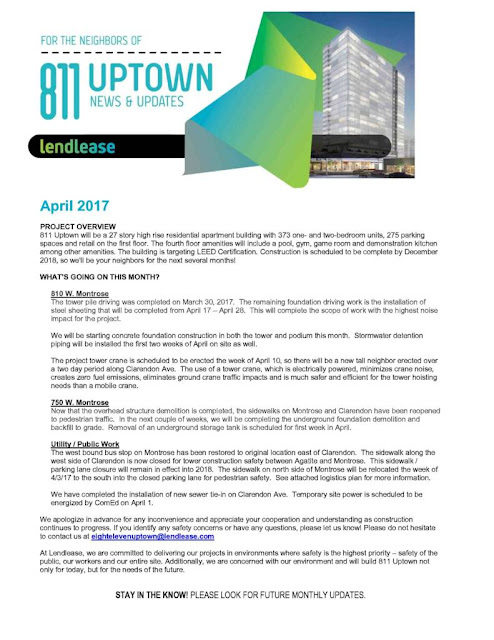 If you'd like to know what's happening with the construction of the former Maryville site, now called "811 Uptown," the contractor does a monthly update on Ald. Cappleman's website. This is what to expect in April (click to enlarge). You can check out the latest 46th Ward newsletter here.